For more than 80 years, Rohde & Schwarz has stood for quality, precision and innovation in all fields of wireless communications. The group relies on its expertise based on 20 years of experience in IT and network security. 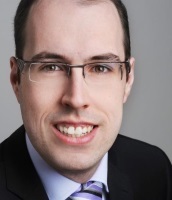 All Rohde & Schwarz development, sales and service activities focus on the customer. The company offers a complete test and measurement portfolio for the wireless market. Rohde & Schwarz solutions are used worldwide by leading companies in the wireless communications and mobile network testing market segments. The group also offers T&M equipment tailored to the automotive industry, the aerospace and defense market, all sectors of industrial electronics and research and education. In broadcast and media, Rohde & Schwarz addresses network operators, consumer electronics manufacturers and content providers. The group ranks among the world market leaders in both T&M and broadcasting equipment. Rohde & Schwarz actively promotes IT and network security. With its cybersecurity solutions, the group protects industry and government authorities against cyberattacks and espionage. Communications and security solutions from Rohde & Schwarz are also used for critical infrastructures. The company additionally offers reconnaissance equipment for homeland and external security as well as communications and reconnaissance equipment for the armed forces. 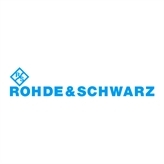 Want to get notified about new jobs at Rohde & Schwarz?